Aloha! I have been very busy all afternoon creating some stunning new pieces for my Etsy Store, Honu Moku. I took a quick opportunity to snap a few pictures because I couldn’t wait to share my creations with you! 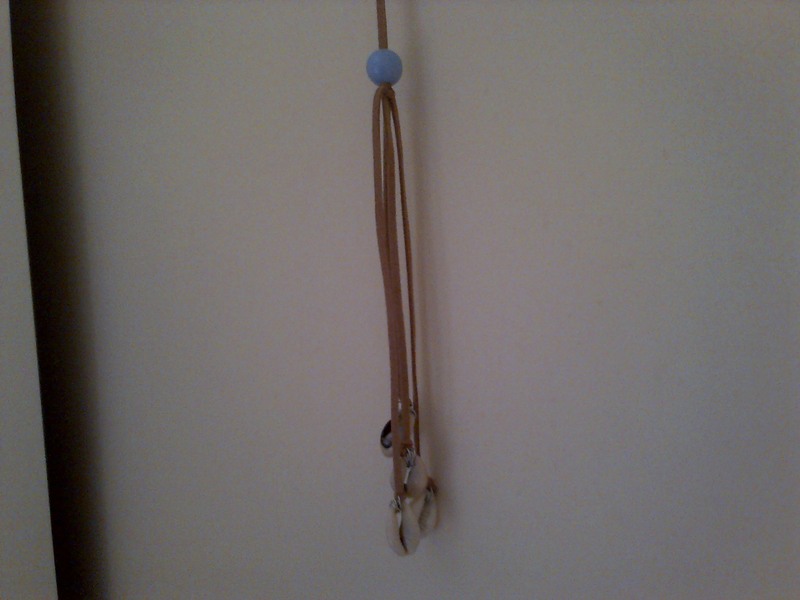 Firstly is this beautiful Bohemian Shell Necklace. 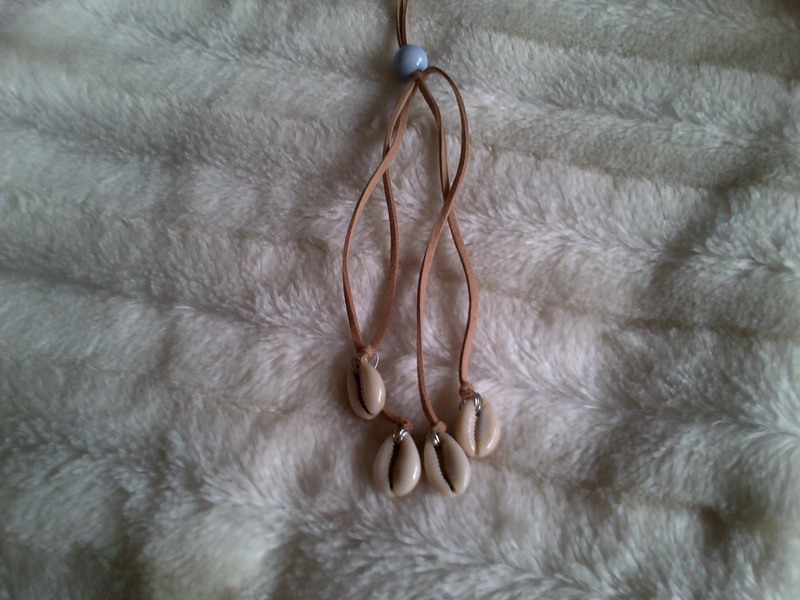 Made from faux suede with a delicate bead, beautifully finished with 4 natural cowrie shells. I love, love, love this necklace & it would be perfect for a bohemian, gypsy, free-spirited lady! 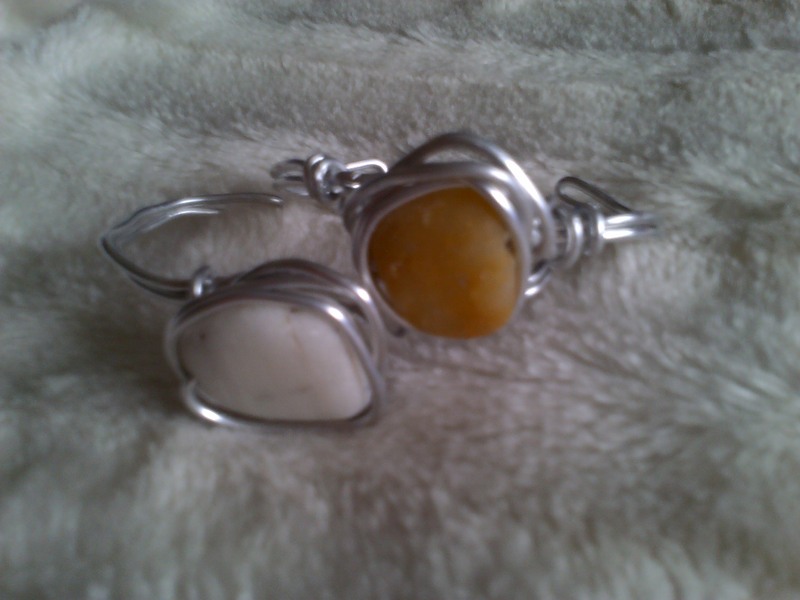 I have also created some Beach Pebble Cuffs. 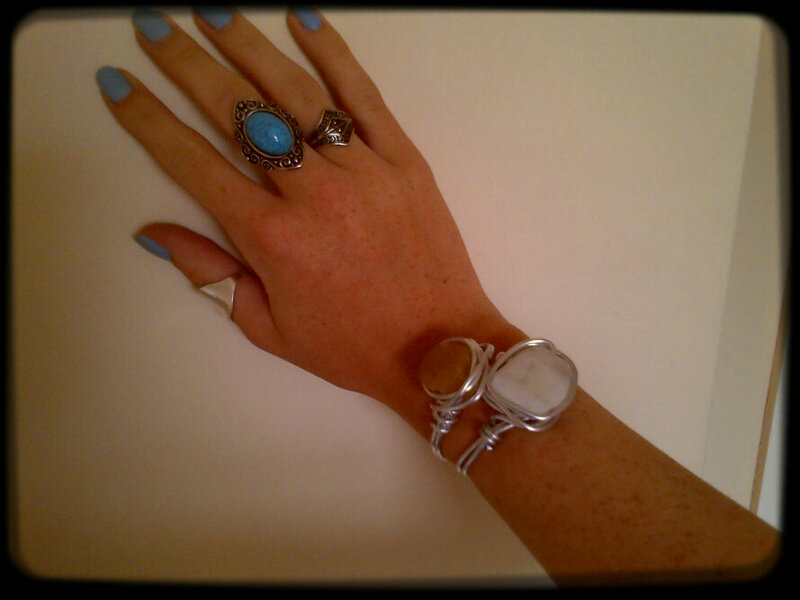 Made from pebbles which I hand-picked from the beach, beautifully wrapped in wire to create an adjustable cuff. These lovely cuffs have a really beachy feel about them & are great for stacking together. What do you think of my new additions? I love the cuff! it’s awesome!!!! would love to see a ring made like that too. I just adore your turquoise ring and matching nail polish, too cute!!!! 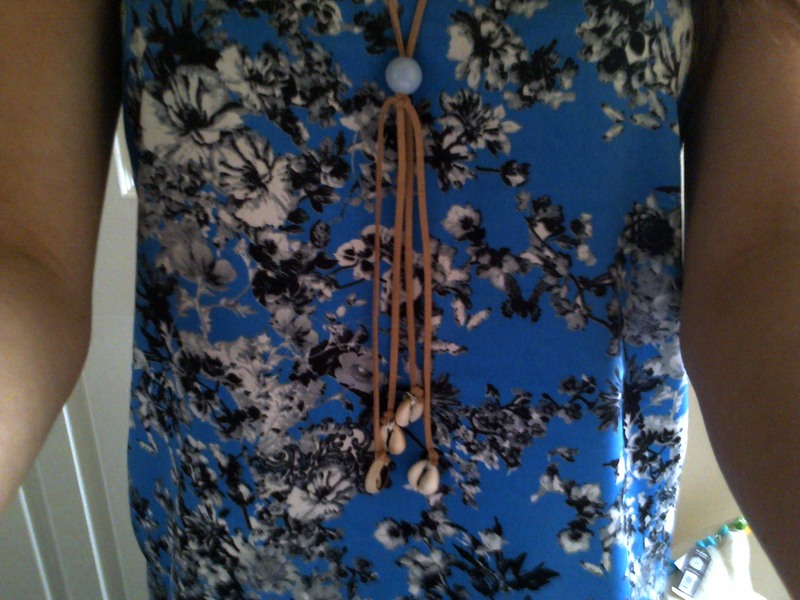 I would wear the necklace with my tankini at the beach or out and about to accent my pretty woman brown polo dress with white polka dots. You so creative and a inspiration! I have a bucket of sea shells from various beach excursions…you sure got me thinking!! !